You must be well aware of the term Smartwatch, Smartwatch is a computerized wristwatch which works more than just to showing time. Smartwatch can be compared to PDA (Personal Digital Assistant), Previously Smartwatch was only made to do basic things like calculations, translations and playing games but today Smartwatch is an effectively wearable computer. There are plenty of Smartwatch in the market some of them run mobile apps, some run on a mobile operating system, and a few have full mobile phone capability, while others function as mobile media players, with playback of FM radio and audio and video files, with sound via Bluetooth headset. Smartwatch may also have some included features like camera, accelerometer, thermometer, altimeter, barometer, compass, chronograph, calculator, cell phone, touch screen, GPS navigation, Map display, graphical display, speaker, scheduler, watch, SDcard and battery. 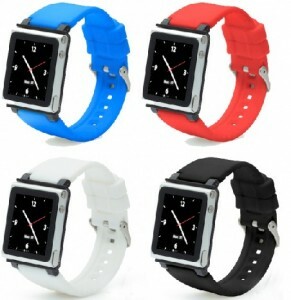 Smartwatch have any advantages like it can collect all information for Computer’s internal or external sensors. Smartwatch can also retrieve or control data from, other instruments and computers. It can also support wireless technologies like Bluetooth, Wi-Fi and GPS. 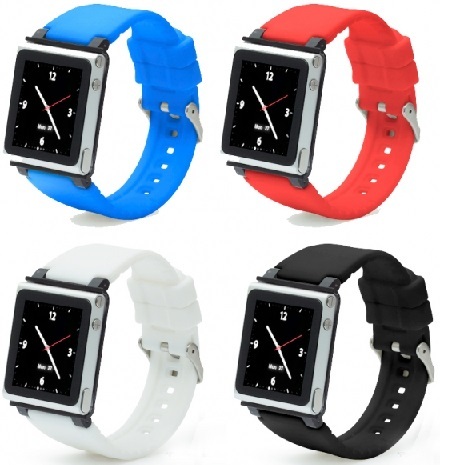 Smartwatch can also be called as portable or computer that we can easily wear and go anywhere. There are plenty of Smartwatch in the market, in this article we are going to review best Smartwatch available, so that it will be convenient for you to select one for yourself. Sony one of the most popular and demanded Smartphone and tablet manufacturer has launched a superb Smartwatch named Sony Smartwatch. Sony Smartwatch is a touch tech Smartwatch taking it to a whole new level of the new Android Platform. Sony highly sophisticated digital Smartwatch will allow you to keep the world at your Fingertip. Smartwatch of Sony has eye-catching design it has Square Dial, Aluminium Case, Black Strap and a Buckle Clasp. Sony Smartwatch has 1.3 inch OLED Display with Dust and Splash Proof and measures body dimension of 36 mm width, 36 mm height and 8 mm thickness. Sony Smartwatch runs on Android Operating System with 10 m Bluetooth Connectivity, Displays Messages, music player, Social Networking Services and Emails. SmartWtach has also the capability to accept or reject call along with displays Pre-defined Messages, Calculator and Notification through Vibration. 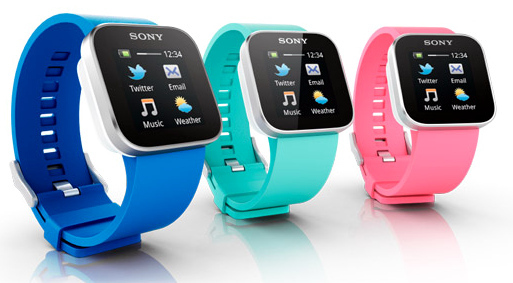 Sony Smartwatch is priced at $137/Rs. 7437. Pebble is most probably the first watch built for 21ST Century; this Smartwatch is extremely customizable with the help of useful internet-connected apps and downloadable watchfaces. Pebble Smartwatch can be connected to both iPhone and Android Smartphone via Bluetooth and allows you to know about your incoming call, messages and Emails through vibration. Pebble is a superbly designed Smartwatch for your everyday life. 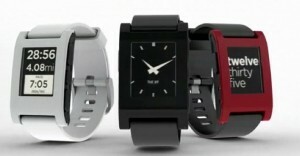 Pebble is priced at $150/ Rs 8200. A Steel version of Pebble is also available now. Samsung Electronics who is releasing one after the other extremely high ending Smartphone has also launched an amazing Smartwatch named Galaxy Altius S9110. 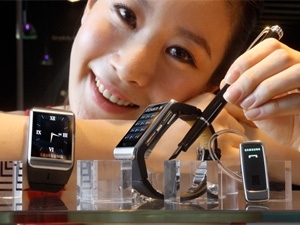 Galaxy Altius S9110 is the slimmest Smartwatch measuring 11.98mm. Samsung’s watchphone houses a 1.76-inch 176 x 220 pixel, 262k colour TFT TSP display with scratch-proof touchscreen along with stainless steel body. Galaxy Altius has Bluetooth 2.1, MP3 player, Outlook email sync, voice recognition and speakerphone features in it along with 40MB of internal memory. Samsung’s watchphone will also have 7.5 x 41.1 x 11.98mm / 91g footprint and will be fuelled by a 630mAh battery. Galaxy Altius S9110 will be priced at $ 576/ Rs 31265. 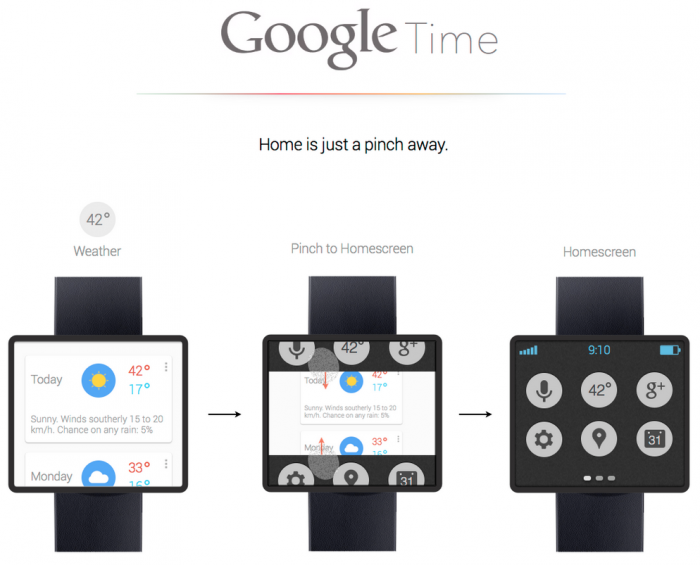 Google is planning to launch its new and latest Google Smartwatch which give a tough competition to Apple iWatch, Samsung Galaxy Altius S9110. 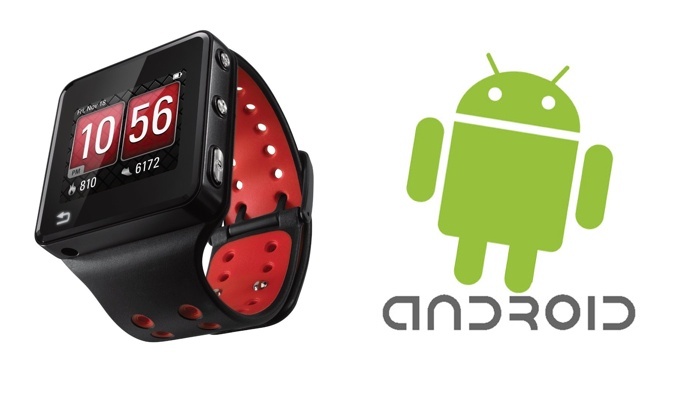 A report of Financial Times says that Google’s Motorola Mobility unit is currently busy with the development of the new wearable connected companion for Android Smartphone. Google Smartwatch will be running on Android OS and will be equipped with a Processor. Till now there is no news about the availability of Google Smartwatch as soon as we will get any information we will pass it on to you.